When grey hair goes charcoal, Instagram goes wild and almost everyone starts sporting it. Do you also want to go in for this trend? Find out if charcoal hair is for you! Halfway between black and grey, charcoal hair colouring is an anthracite colour with blue and silver highlights which is part of the grey hair trend . However, whatever you do don't attempt to enhance salt and pepper hair with this colour. The charcoal hair colouring trend reinvents 50 shades of grey with colourful iridescent effects, which are far from natural and will not go unnoticed. Sophisticated yet surprising, you should only try out this dark grey if you are ready to fully embrace its rock 'n' glamour look! 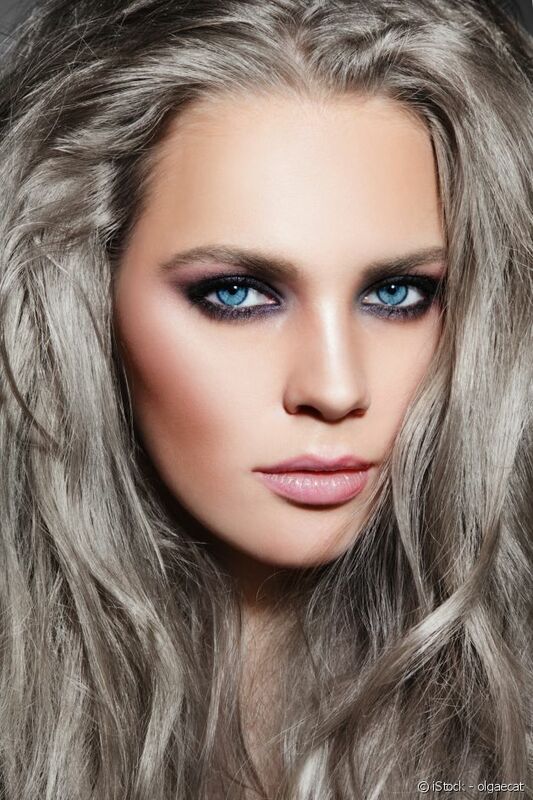 To go for the unusual charcoal hair colour, you must first bleach your locks regardless of your natural hair colour. Why? Because getting this colour is more complicated than it seems. This charcoal shade does not suit orange highlights, which may show through if you keep your natural colour underneath the charcoal pigments. This means that there's only one solution: having a colourist remove your hair's pigments whilst protecting it as much as possible. How well your charcoal colour will take will depend on your colourist's skill and the personalised mix of blue and silver pigments. 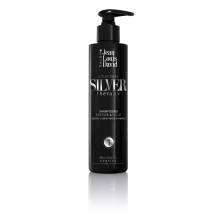 They can give your locks an almost satin-like sheen. You should be prepared have a salon treatment every 3 weeks, not to mention that you should use purple shampoo and a keratin mask as standard upkeep.